Lord’s Chosen Church members launch aircraft for evangelism in Lagos. The Lord’s Chosen Charismatic Revival Ministries has launched a new ‘aircraft’ to carry out evangelism in Lagos state. 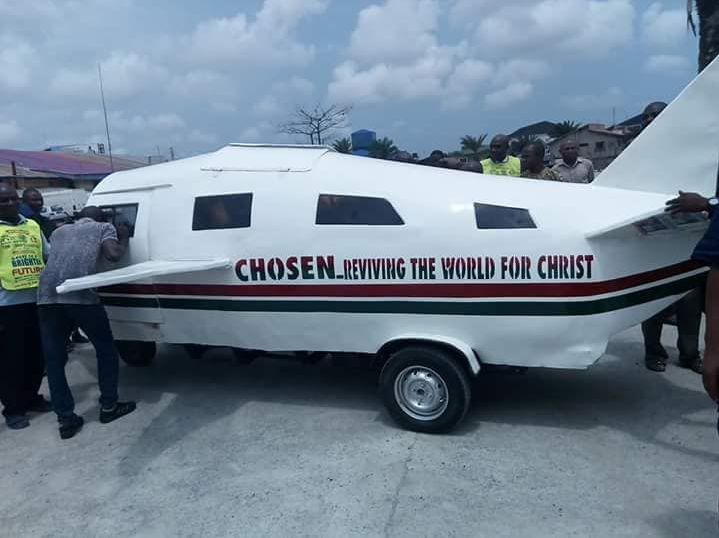 It is what can actually be considered as a land craft but was designed to look like an aircraft that doesn’t fly. 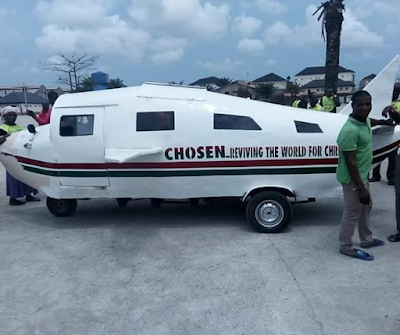 The newly acquired land craft was dedicated by Pastor Amadi Chidozie, the Lagos State coordinator of The Lord’s Chosen Church.